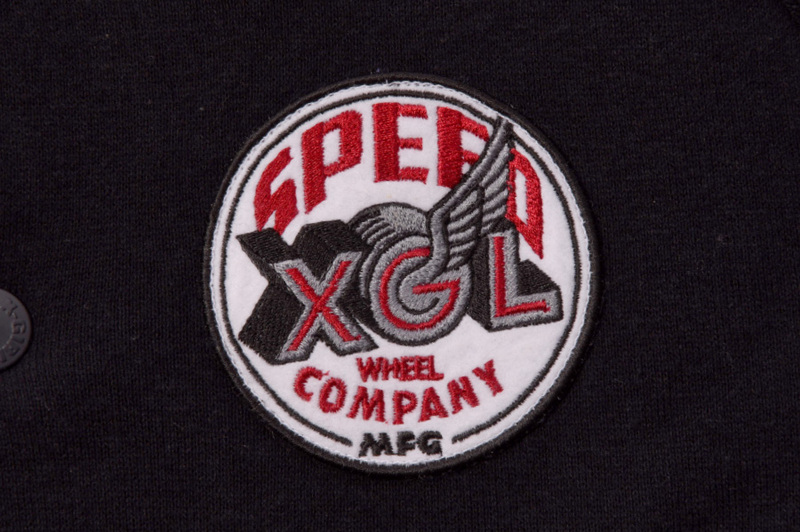 TOP > ARCHIVES : XGL WHEEL CO.
XGL WHEEL COMPANY, a fictional skateboard company run by female skaters, the products designed in collaboration with X-girl emerged from such a concept. 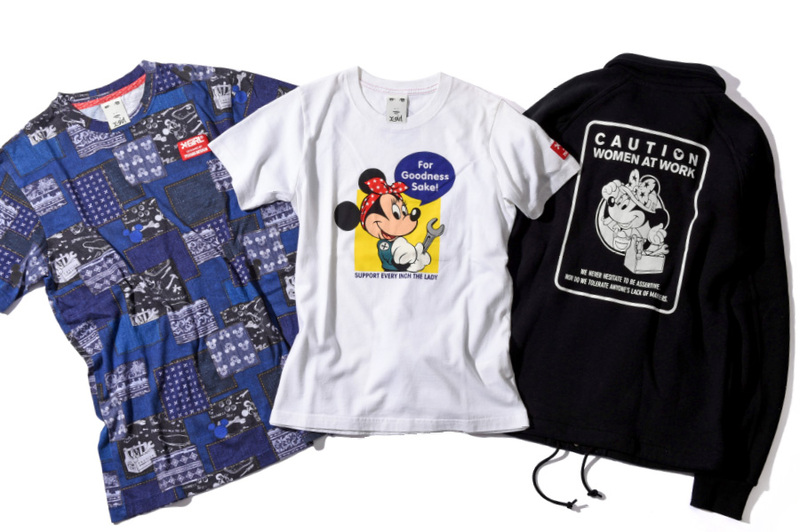 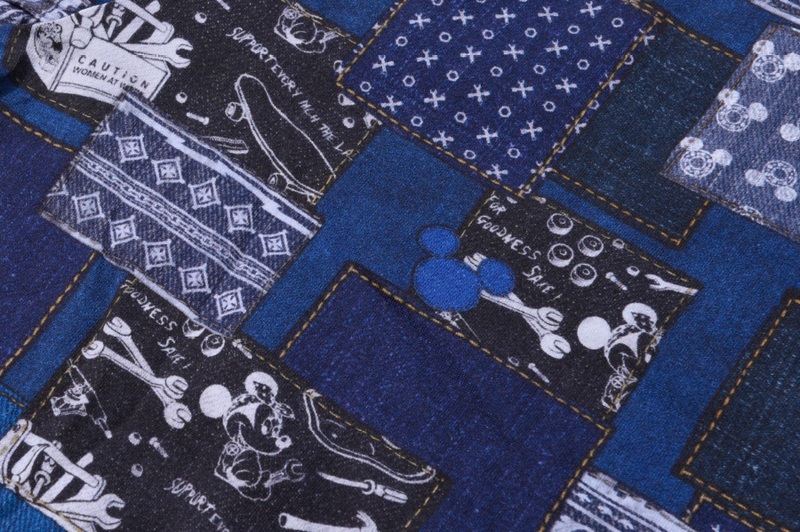 Having had Disney as an additional collaborator, the first launch of graphic designs, such as Minnie Mouse in workwear, Mickey Mouse printed on a bearing, as well as a toolbox filled with skateboard tools, were unique to WHEEL COMPANY. 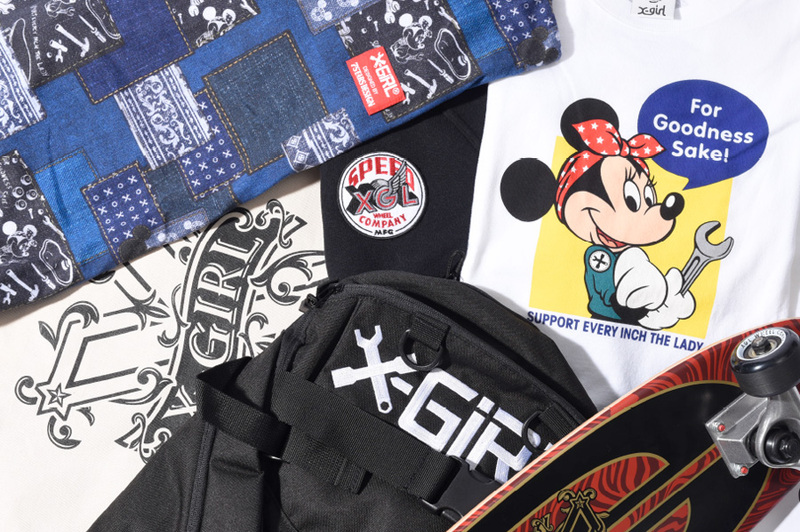 The second launch of graphic designs comes with a complete cruiser to match with hot rod and bike, and a long-sleeve T-shirt with a loop logo.